Compound bows are known for being fast, accurate and powerful. They are the modern version of bows and are better than recurve and traditional bows. 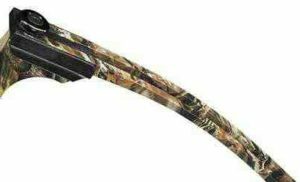 These bows are great for beginners due to their design and high level of adjustability. The compound bows also tend to offer more speed than the other kinds of bows. 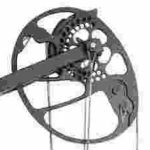 These bows work by providing a system of levers that are designed to provide a mechanical advantage in the storing of energy during the draw cycle. We will discuss in detail about how a compound bow works. The compound bow can simply be defined as a machine that’s meant to be used to improve archery. This equipment is mostly made with strong and durable material like aluminum alloy which does make a difference. A bow is a machine that combines design, sturdiness, and flexibility for more power and even accuracy on the shot. This part of the bow acts as a chassis as it holds the limbs and provides a place for a handle and mounting stuff like the rest, bow sight and much more. These are the parts of the bow that can flex. They are on either side of the riser and whose main function is to store and release energy. The best way to explain this would be through the use of spring. When its flexed, it stores energy and coils and when released it also straightens back giving away/transferring some of this energy. This is exactly how the limbs work when drawing the arrow and releasing it. This is where the arrow is placed. Its pulled on to initiate the rotation of the cams and flexing of the limbs. It’s through this that energy starts getting stored in the limbs. Once released it shoots the arrow. At this point, the energy from the limbs is transferred to the arrow allowing for speed and power on the arrow. The cables latch on to the limbs and are what enable the cams to pull on each other. On the other hand, the cable slides are meant to place the cable away from the route the arrow might take. After learning about the parts of a compound bow, we can move on to the step by step guide to understanding how a compound bow works. The arrow rest in archery is an accessory that doesn’t always come with every Adult/ youth compound bow. 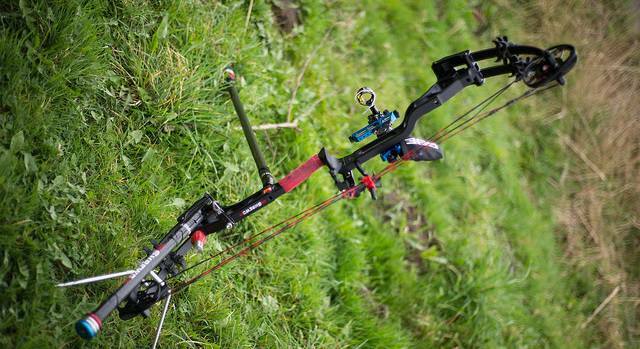 Your compound bow might have it or not. Either way, the first step is always to set the arrow for the shot. It’s only through this that you can see how the bow works. After the arrow is set, you’ll need to draw the arrow. This can be done by pulling on the bowstring to the “solid wall”. This wall is a feeling one gets when they are at the end of the draw. It’s not always constant with every archer, so don’t expect it. 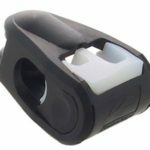 Pulling the bowstring shall make the cable pulls on the cam which initiates the force needed to release the arrow. It’s the draw process that makes the pulleys (depending on the bow it could be one pulley, two pulleys or hybrid system) compress the limbs. The limbs are meant to flex as this plays a major role in the speed of the arrow as well as the energy stored and released. The limbs work similar to a coil spring, flex them and they store energy, release them, and they transfer it. When drawing the string, the limbs flex and get compressed as they store energy and await release at which point the energy will be transferred to the arrow being shot. The limbs and cams on a compound bow work together to achieve what is known as a let-off. This process makes it easier to draw as you approach the peak. At this point, the draw weight goes down making it easier to hold steady and aim better for accurate shots. The last thing that is done is to release the arrows. It’s at this point that you’ll let go of the bowstring. When this is done, the limbs will flex again thus transferring the energy from the limbs to the arrow. Remember, the more the draw weight, the stronger the shot of the arrow. There are a variety of accessories that an archer can use with the compound bow to help make the process easier. Using accessories such as sight can help increase the accuracy of the shot significantly. This step by step guide is meant to educate on how a compound bow works. There is a lot more to these bows and archery. There are also more things to consider if you’re looking to improve your skills or home this as a professional. One thing is for sure; compound bows are one of the best bows.